ClickSend provides British-based companies with bulk SMS covering a number of valued products and services. The review comparing UK bulk SMS leading providers found ClickSend to be very worthy of consideration. ClickSend is one of the major players in the bulk SMS distribution in UK. It is in the business of being able to contact many thousands of people for their clients within a very short period of time whether it is for marketing or promotional events such as specials, reminders or discount offerings to mention just a few uses in sending SMS messages. It is a very effective and efficient way of communicating quickly to customers or to staff that makes them a point of difference. 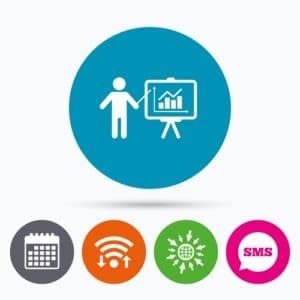 There are always ways of finding a text message solution to a communication issue or a marketing means and ClickSend has the one-stop shop facilities to send bulk SMS, with the innovative and sophisticated API systems to distributed with the advantage to include merging and online address book services. All it requires is a web enabled computer with no set up required. The developers of this independent assessment site have prepared this Bulk SMS Comparison site to allow you to read and compare the services of ClickSend against other major bulk SMS providers in UK. 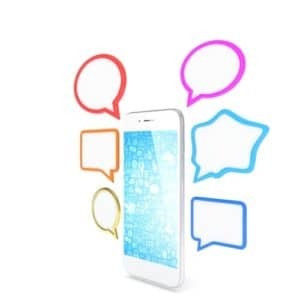 This bulk SMS provider offers a range of products and services that will ensure mass distribution of text messages are disseminated immediately with a high success rate. Its email to text message service allows you to use your own email without the need for any fancy software to seamlessly communicate a text message or a promotional activity to the wider audience. It can be done quickly and effectively through its Click Send’s Cloud Service. Using its high performance direct routes it allows text messages to be reliably distributed without the concern by the client or company as to when it will be delivered. As ClickSend has a powerful web-based emails to SMS services, it has also the MMS capabilities as an alternative to simply texting . Both avenues are simple to use. It offers reply options with means receiving responses to appreciate the effectiveness of the SMS. On an overall level of assessment of features offered compared to other SMS bulk providers, ClickSend does rate very well among its major bulk competitors. A review of ClickSend shows that it is one of the few providers that has cheap SMS pricing schedule which is re-assuring and definitely worthy of consideration. In general, ClickSend rates for low volume distribution per month was evaluated as offering one of the lowest prices for SMS on a monthly basis. It is cheap but not the cheapest. It is around more than 10% above WholesaleSMS charge structure whether it be for small numbers of text message over a monthly period to around 250 000 SMS per month. However there are no charges detailed for the large volume distribution so no comment can be made. Incoming SMS are free with Clicksend but monthly fees are charged for dedicated numbers. There is a charge of per month for a dedicated number and a set-up fee and a short-code charge of per month. Payment can be pre-paid or monthly. They do provide unlimited credit compared to its competitors and also ensures 100% uptime guarantee which is rare among the other competitors. This is the highest within the industry. There are no contracts, setup fees or recurring fees. SMS credits do not expire unlike several other bulk text message providers. It can be said in general when comparing bulk SMS providers, as indicated by the graph below, that ClickSend has a very reasonably pricing and only slightly more than the cheapest competitors. As an British based text message bulk provider, Clicksend understand the needs of British businesses. Their support centre is British-based with comprehensive hours for support. Their free trial offer also helps companies test this level of service and support that is matched by the 100% uptime Service Level Agreement (SLA). This bulk provider offers well developed API to ensure it has the platforms in place from a reliability perspective. Also it has in place security and compliance in place to ensure developers understand and adhere to privacy and confidentiality. As can be demonstrated below through a graphical illustration, ClickSend reliability rates highly with an excellent rating. However, it should be stated that all the five bulk sms distributors do rate extremely well from a reliability perspective. This is very reassuring for prospective as well as current clients. The review of ClickSend indicates that they offer a 24/7 call centre number and an easily accessible 24/7 email address should you not wish to speak to the call centre in person. An international line is also offered for those international customers calling outside of UK. They have developed a positive reputation as a reliable SMS bulk provider with global companies engaging their services such as Citrix, pwc, Columbia University, Siemens, hp, NYU, GEICO, and AVG. Provision of a free trial for first timer who log in are available after signing up. They have an immediate pop-up screen for a chat about their services and any special offers. ClickSend provides on its site availability for blogs to keep you up to date with existing new products and features. Also, their knowledge base contains FAQ and Tutorials to assist in the understanding and process of using ClickSend to distribute SMS to your customers. Its website is very transparent as to ways of contacting them whether it is by Google+, post Facebook, Twitter or by Skype too. An international phone number is also provided on their contact page. A FAQ on the front page of their site is also available. The authors, who are experts in SMS of this website and comparison table know the difficulty of deciding which bulk SMS provider is best for your needs. With so many bulk providers offering their services in UK, numerous features, pricing structures and delivery networks on the offer it can enormous amount of time to select the appropriate provider for your needs. This Bulk SMS Comparison Table and site identifies and compares products and services offered in an independent and easily interpreted analytical way. Since SMS providers can adjust pricing without advanced notice, please check their prices and features on their website. If by chance the information provided on this site needs updating you can use the contact us section of changes needed without personal details.